Note this post was first published as part of my original Blogspot site on 12-2-16. Bean to bar chocolate from Japan is becoming quite the trend in the chocolate world. 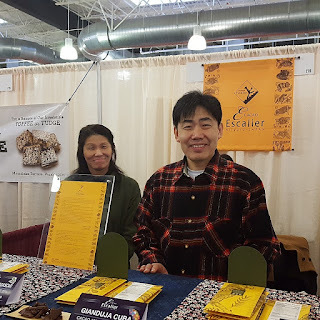 In fact, Sweets Escalier, from Japan, made an appearance at the recent NW Chocolate Festival in Seattle, WA. 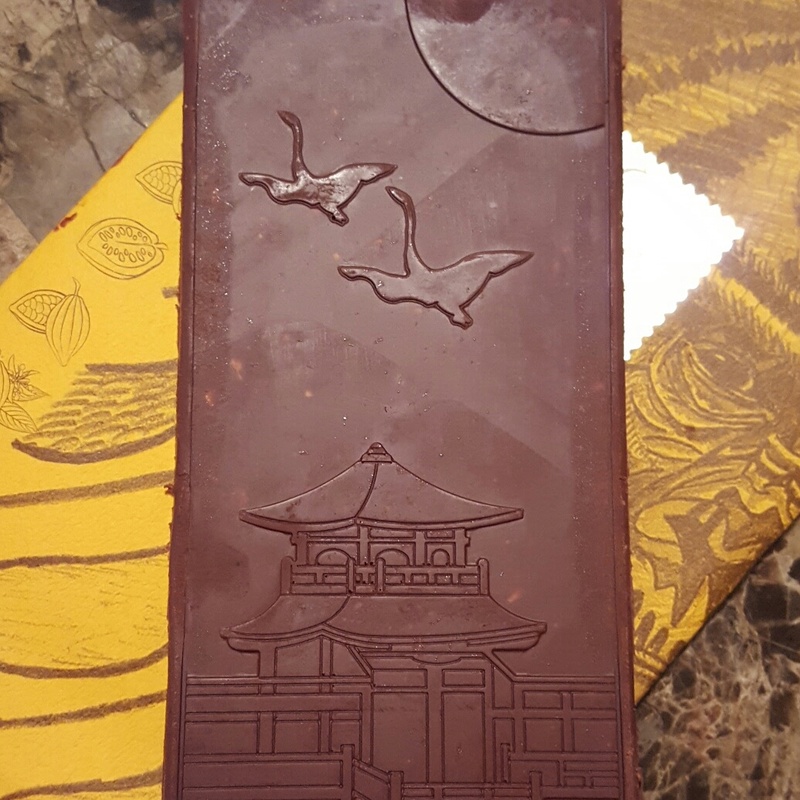 Pastry chef Tomomi Kaneko, owner of Sweets Escalier in the Japanese city of Niigata, recently turned towards bean to bar chocolate making. 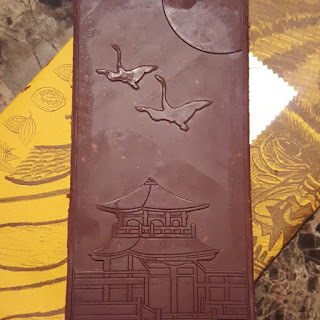 Through chatting with an interpreter present I learned that the designs on the chocolate bar labels were also designed by the chocolatemaker, and that there are around “fifty” bean to bar makers already in Japan. 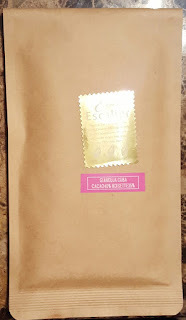 Several selections were offered to sample including smokey, and sesame bars, however, I enjoyed (and purchased) the Gianduja Cuba bar the most. Inside the fancier label the bar itself is contained in a resealable inner bag. The design on the bar is gorgeous! I almost hated to break off a piece (but I did, of course!). Nose: This bar has the richest, deepest, hazelnut smell I’ve ever gotten off of a hazelnut containing bar before. Texture: The chocolate is extremely smooth with the hazelnuts offering a crunchy contrast. 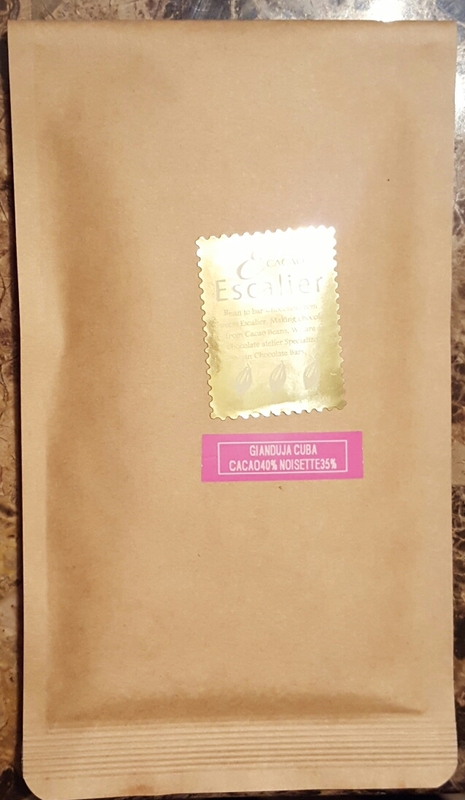 Taste: Very deep hazelnut flavor with the nuts tasting roasted, fudgy chocolate taste, caramelized nut brittle, and then dark roast coffee at the end. I walked away from the Sweets Escalier booth feeling happy from all the good energy surrounding them, and from the excitement of trying bars from a maker I hadn’t come across before. 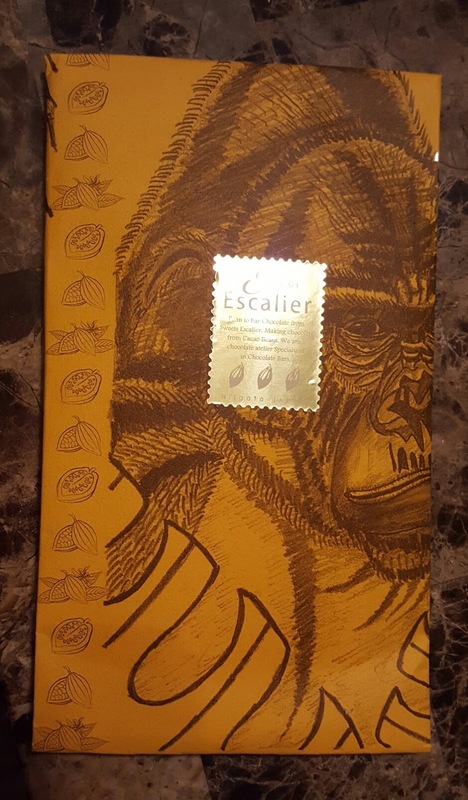 I really hope Sweets Escalier returns to the NW Chocolate Festival in 2017! Did you get to try one of their bars at the festival? What did you think? Do you know who distributes Sweets Escalier’s chocolate bars in the United States? Hi! I have only bought Sweets Escalier’s Chocolate from the actual maker of it each year at the Northwest Chocolate Festival in Seattle, WA.